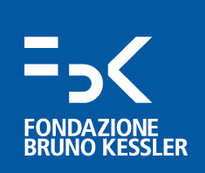 Bruno Kessler Foundation is a private non-profit research center working for the public interest. Established by the government of Autonomous Province of Trento (Italy), FBK conducts research in the areas of Information Technology, Materials and Microsystems, Mathematics, Italo-Germanic Historical Studies and Religious Sciences. Other FBK activities include studies on networking and telecommunications, with a particular focus on government and welfare, as well as studies on the effectiveness of public policies. FBK employs over 350 researchers, about 220 graduates, post-doc students, and visiting professors. FBK is organized in 6 research centres, 7 laboratories, 2 specialised libraries open to external visitors, and a number of field projects active across the Province’s territory. FBK has generated more than 30 spin-offs, start-ups and joint ventures. Throughout 50 years of history, FBK has developed a broad network of domestic and international alliances and strategic partnerships, hosting and attending international congresses, conferences and symposia, publishing hundreds of papers, dozens of patents and innovative ideas. We believe that the quality and results of our work, and our assiduous presence, have earned Fondazione Bruno Kessler a respectable international standing. The FBK research unit participating to this project, the Dynamical Processes in Complex Societies (DPCS) unit, gathers an extensive range of scientific expertise in computational modelling of infectious diseases and epidemiology. The staff of the DPCS unit currently involved in the study of epidemic processes is composed by 1 senior researcher, 5 Postdoc e 1 PhD students. The team has applied these skills in the large scale simulation of emerging infectious diseases, in the evaluation of mitigation/containment policies, in the study of the effects of population heterogeneity and human mobility in the spread of infectious diseases, in the study of the impact of demographic changes on the epidemiology of infectious diseases (e.g. measles, varicella, Herpes Zoster), in the study of the effects of risk perception, vaccination choices and spontaneous behavioural changes, in the analysis of contact patterns relevant to epidemic transmission, in the study of host-pathogen immunological interaction and coinfection processes. The DPCS unit is one of the world leader groups in the development of individual based models of the spatio-temporal spread of infectious diseases with 37 academic papers since 2008. The DPCS unit is well integrated in the national and international network. In the period 2008-2013, research activities have been funded by 2 FP7 European Projects (FluModCont and Epiwork), 1 project funded by the European Center for Disease Control and 3 projects funded by the Italian Ministry of Health. S. Merler, M. Ajelli, L. Fumanelli, A. Vespignani. Containing the accidental laboratory escape of potential pandemic influenza viruses. BMC Medicine, 11:252, 2013. S. Merler, M. Ajelli, A. Pugliese, N.M. Ferguson. Determinants of the spatiotemporal dynamics of the 2009 H1N1 pandemic in Europe: implications for real-time modelling. PLoS Computational Biology 7(9):e1002205, 2011. S. Merler and M. Ajelli. The role of population heterogeneity and human mobility in the spread of pandemic influenza. Proceedings of the Royal Society B, 277: 557-565, 2010. P. Poletti, B. Caprile, M. Ajelli, A. Pugliese, S. Merler. Spontaneous behavioural changes in response to epidemics. Journal of Theoretical Biology, 260(1):31-40, 2009.